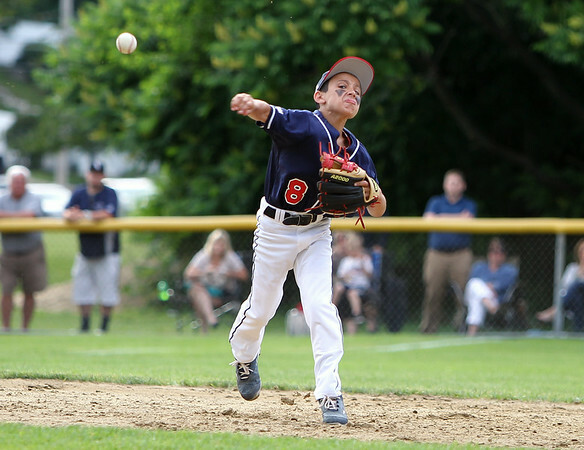 Peabody West shortstop Angello McCullough fires to first to try and retire a Swampscott batter. DAVID LE/Staff photo. 6/26/14.